Given the immense size of Russia, spanning two continents and eleven time zones, you could be forgiven for thinking that the best way to get about would be by air. You’d be wrong. The main way of getting around, whether you’re a local or a visitor, is by train and taking to the rails will be one of the highlights of your holiday. Whether you elect to travel by private train or stick to the regular scheduled services, you won’t regret your decision to keep your feet firmly on the ground. In November 1851, a railway was built connecting the then capital St Petersburg to Moscow, joining its sole predecessor, a steam loco that had linked St Petersburg to nearby Tsarskoye Selo since 1837. These days, for travellers, it’s the Trans-Siberian that grabs the headlines, but don’t be fooled into thinking this is a single train. It’s not. What we call the Trans-Siberian is actually the route, served by a whole host of different trains. Together with the equally popular Trans-Mongolian that splits at Ulan Ude and heads south via Mongolia to China, and the less well-known Trans-Manchurian which takes an alternative route via Harbin on its weekly journey to Beijing, these are the long distance workhorses of the Russian fleet. Whichever you choose, you’ll find that taking the train is a great way not only to see the country and appreciate its vastness, but also to experience first hand the friendliness of its people. Russians love travelling by train and sharing what they have with you. That’s likely to include food, family photos and, quite possibly, a bottle or two of vodka. Go with the flow and embrace the opportunity to learn a little about the Russian way of life while soaking up the scenery. 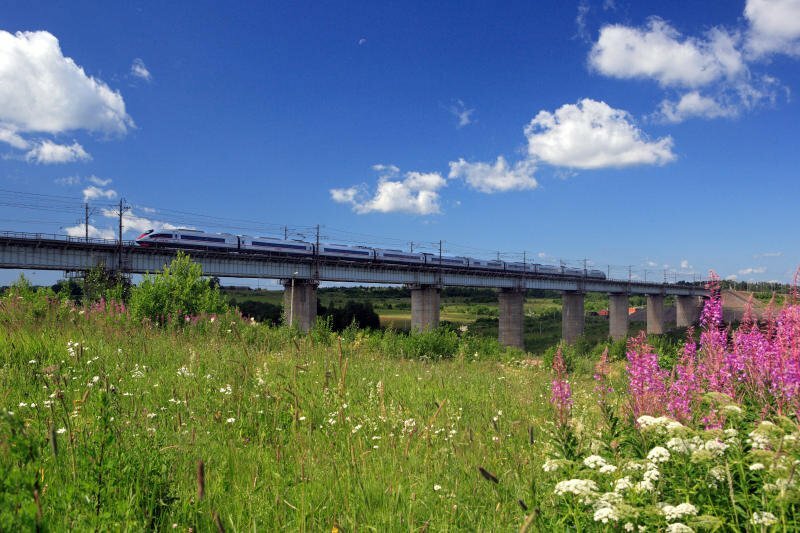 A high speed service connects St Petersburg and Moscow, but the epitome of Russian rail travel is taking the slow train, hopping on and off when and where the fancy takes you. Trains are comfortable and safe, and each train carriage has its own provodnitsa whose job it is to look after those in her compartment. It’s like having your mother with you – in a good way. She’ll keep the samovar topped up with hot water so you can make your tea, vacuum your carpet and clean the toilets. She’ll even make sure you don’t miss your stop, though as the trains all run to Moscow time, that’s less of a consideration than you might think. With all this help, you don’t even need to speak a word of Russian, though taking a phrase book on board helps to break the ice and keep your fellow passengers entertained. Opting to take the train across Russia was one of the best decisions I ever made. It was slow travel at its absolute best. With such an extensive network, the only limit to your own Russian railway journey will be your imagination.